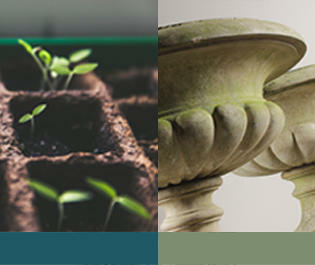 Here you can read all about the latest news, events and amazing finds at English Salvage. We sell a great many rare and beautiful items, some are so fabulous that they deserve to be given special attention here on the website - either in our 'featured items' section or here on the news page. When we run a promotion, have a sale, or make improvements to the site you'll find it here first. 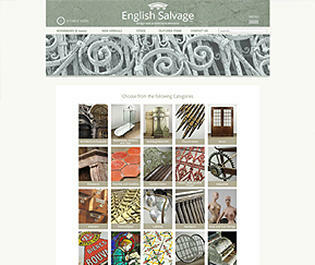 A new premises for English Salvage! 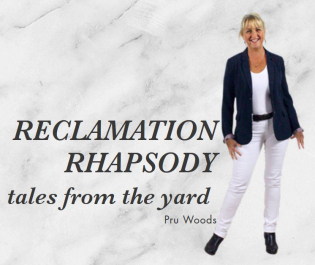 Looking for a good read and fancy discovering the inside story on running one of the UK’s largest reclamation yards? We have the answer……. 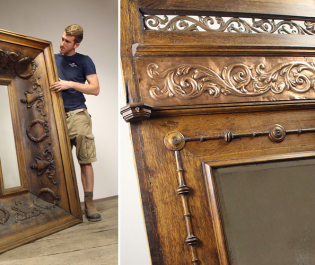 Last year we purchased an original, hand carved, oak lift interior which had originally been removed from the Coliseum in London….. Thanks to everyone who purchased a door (….or doors!) from us during August and September. 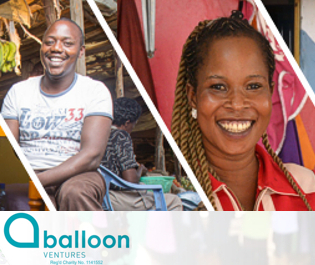 We donated £10 for each door sold to our chosen charity, Balloon Ventures. With your help we raised £1330 to support this unique social enterprise who work with micro businesses in Kenya, Uganda and the Philippines. A night on the tiles! 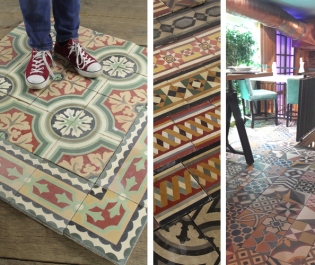 We are excited to have just sold a large run of antique encaustic cement tiles to a pub company. Laid in a random mix on the floors these wonderful tiles create a vibrant mosaic of colours and patterns. Dating from the late 19th/early 20th Century they have been very popular throughout mainland Europe, especially in old French and Spanish colonial countries. What an incredibly busy time we’ve had the past couple of months extending our reach to countries far and wide. We said goodbye recently to two large container loads of reclaimed items bound for Japan to be used in the construction of a specially commissioned wedding chapel. 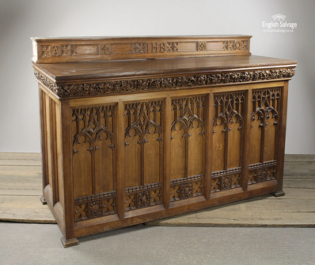 Some particularly noticeable pieces included a spectacular carved oak church altar and ledge (pictured) and an ornately carved church panel screen. Continuing the religious theme, as these items left, we welcomed in a large quantity of beautiful vintage hardwood synagogue pews. Hollywood calls and once again English Salvage rises to the challenge! 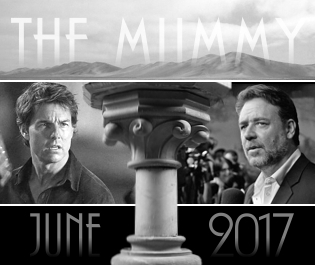 This time supplying unique and distinctive architectural film props for an upcoming blockbuster starring Tom Cruise and Russell Crowe - the widely anticipated remake of The Mummy! 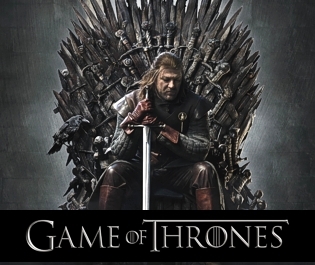 Just supplied some items to the Kingdoms of Westeros - that's the film set of the upcoming series VI of 'Game of Thrones' to you and me! Fabulous multi-award winning series loved around the world! Props supplied include carved stones, window surround pieces and trough plus weathered cast railing. +++STOP PRESS+++ Just received a further order for lots more pieces going to the set...it's going to be a fantastic new series!